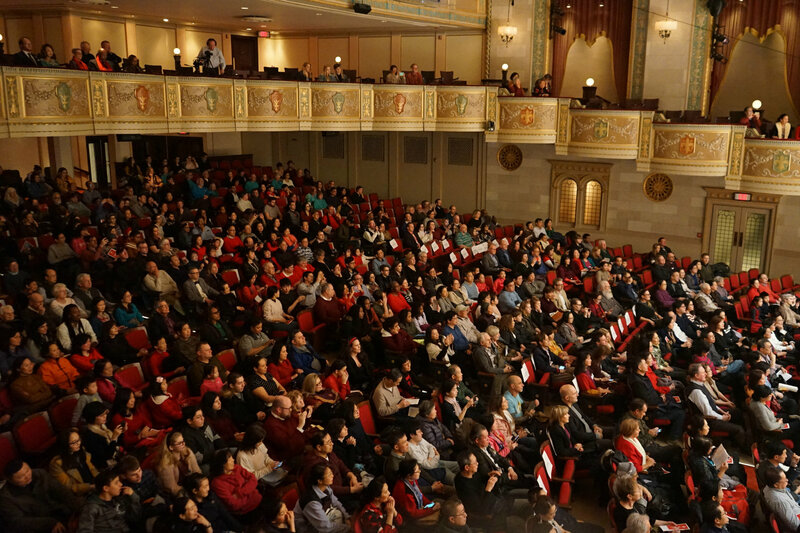 On the evening of February 12th, Detroit's 2019 "Happy Chinese New Year" concert took place on the grand stage of Detroit Symphony Orchestra Hall. 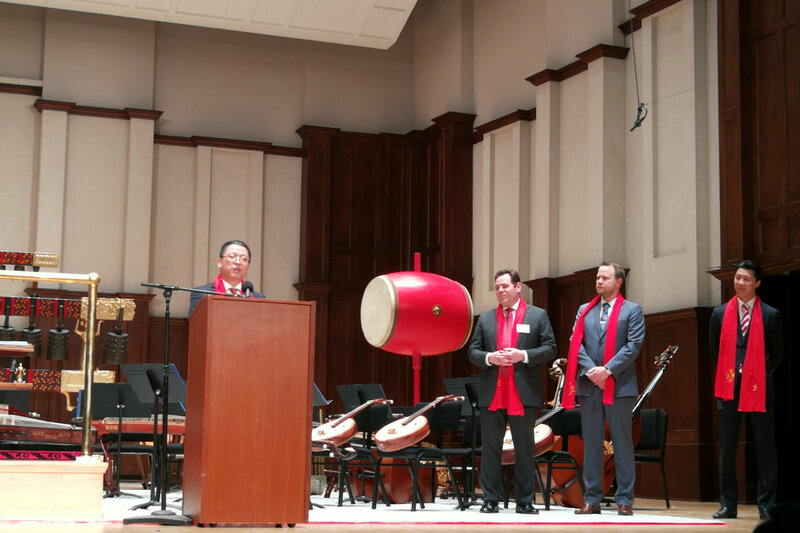 Deputy Consul General Huang Liming, Consul Zhang Min from the Cultural Affairs Division, Executive Director Brian Connors of the Michigan-China Innovation Center, President Anne Parsons and General Manager Eric Ronmark of the Detroit Symphony Orchestra (DSO), and Detroit locals comprised over 1,500 guests in attendance. In his opening remarks, Deputy Consul General Huang Liming first extended New Year greetings and wishes to the audience, a warm welcome to the National Peking Opera Company and the Hubei Chime Bells National Chinese Orchestra, and sincere gratitude to the DSO and other relevant individuals for putting forth such great effort in organizing this concert. 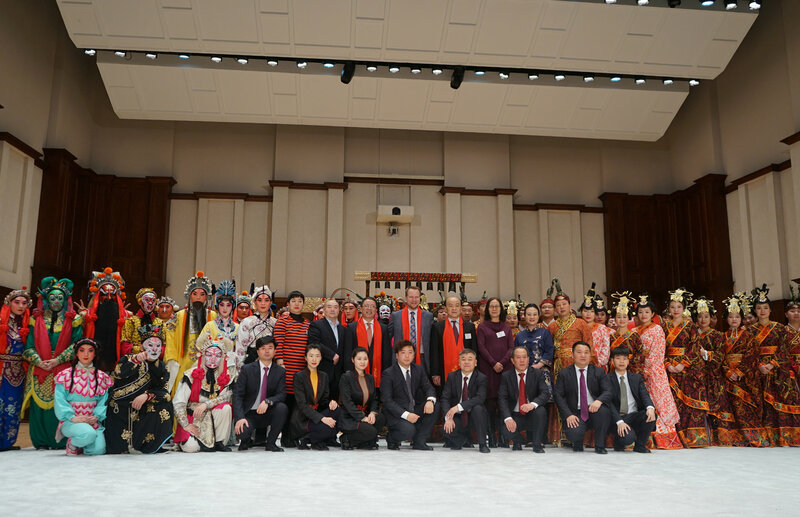 He continued that this is the third consecutive year the DSO has held a concert celebrating the Chinese New Year, conveying through music the rich substance of this important holiday. 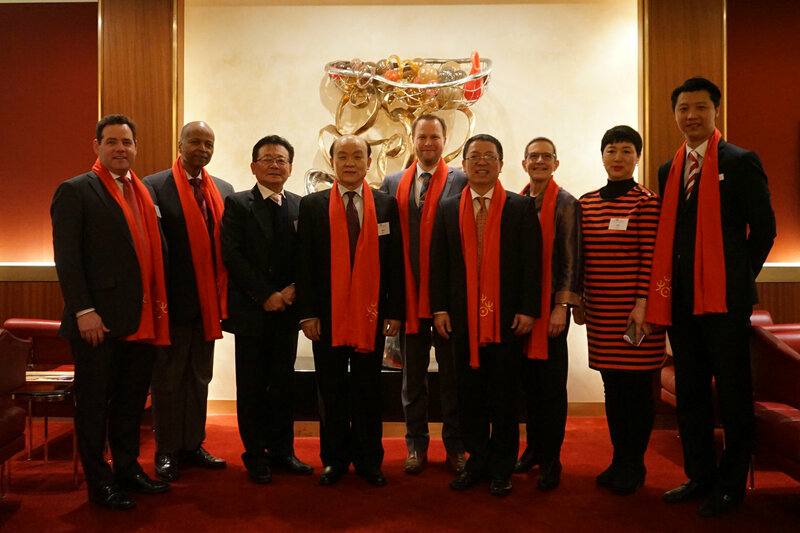 He acknowledged the DSO’s efforts in recent years in actively carrying out cultural exchanges with China and pointed out that 2019 marks the 40th anniversary of the establishment of diplomatic relations between China and the United States. Cultural exchanges, including music, are an important foundation of China-US relations and can help deepen understanding and enhance friendship between us. We hope to work together with the DSO to continually improve the “Happy Chinese New Year” concert. Deputy General Manager Fan Jing of the China Arts and Entertainment Group stated in his speech that the Chinese New Year is the holiday that most represents the beauty of traditional Chinese culture. The “Happy Chinese New Year” event series, initiated around the globe by the Ministry of Culture and Tourism, is highly significant. 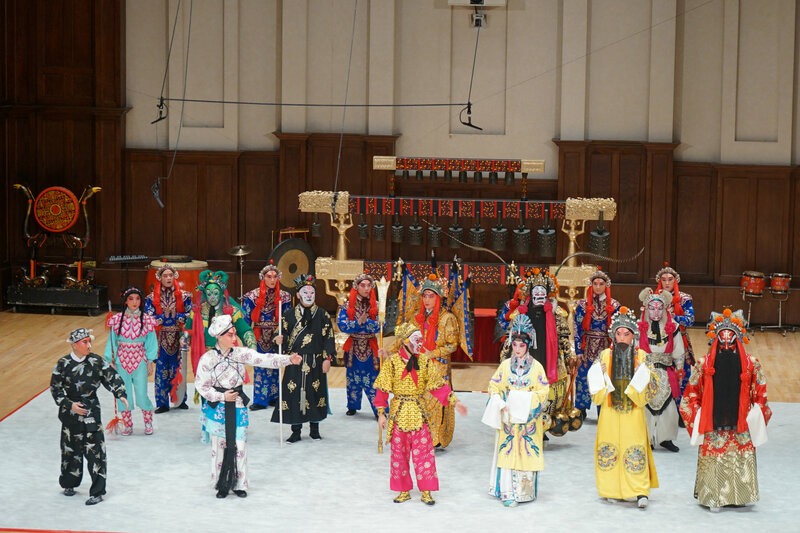 Tonight, the National Peking Opera Company and the Hubei Chime Bells National Chinese Orchestra will bring the audience performances of the purest form of Chinese opera and music rich with the spirit of ancient Jingchu culture. General Manager Ronmark expressed that the DSO attaches great importance to their exchanges and cooperation with China. In the summer of 2017, the orchestra took a successful tour around China, putting performances on in five different cities. He thanked the Chinese ensembles here today for traveling all the way to Detroit to make the "Happy Chinese New Year" concert a reality. He promised that the DSO and local Chinese community will continue to work together. The DSO’s first chair cellist, Wei Yu, represented the orchestra in wishing the audience a happy New Year. The concert was divided into two halves. During the first half, the Hubei Chime Bells National Chinese Orchestra performed pieces both from the national orchestral repertoire such as "Blossoms on a Moonlit River in Spring" and "Ge Tian’s Swallow", as well as pieces from the national chime bells repertoire such as "Folk Song of Chu", "Sound of Music" and "Silk Road". 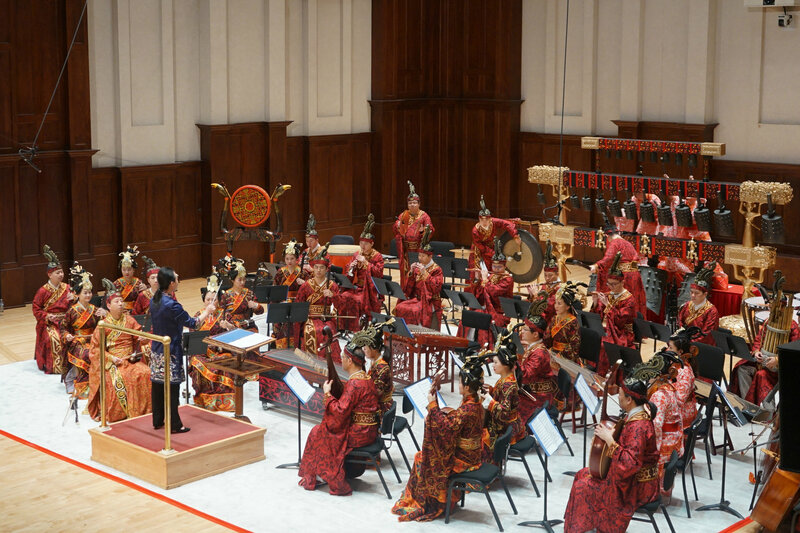 Dressed in eye-catching traditional clothing, the musicians dazed the audience with the metallic resonance of chime bells and the unique sounds of other traditional Chinese instruments—it was a genuine feast of the ears and eyes. During the second half of the performance, the artists of the National Peking Opera Company performed for the audience highlights of famous Peking Opera pieces such as from "The Palace of Eternal Life", "At the Crossroads", and "Havoc in Heaven", introducing the audience to a world—the world of Peking Opera—of elegant vocal melodies and dramatic fighting scenes, leaving them speechless and in wild fits of applause. Before the performance, Deputy Consul General Huang Liming, Executive Director Connors, President Parsons, General Manager Ronmark, leading musicians of both ensembles, and nearly 50 guests from various circles attended a cocktail reception.